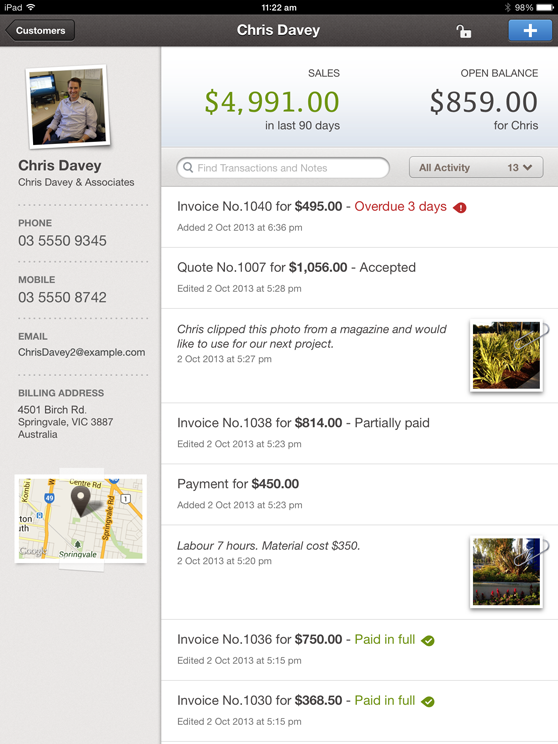 View customer information and send invoices. 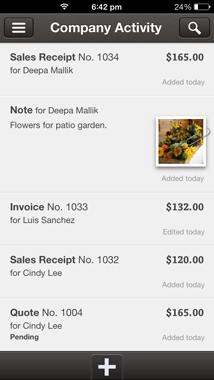 Add photos and notes so you don't forget anything. 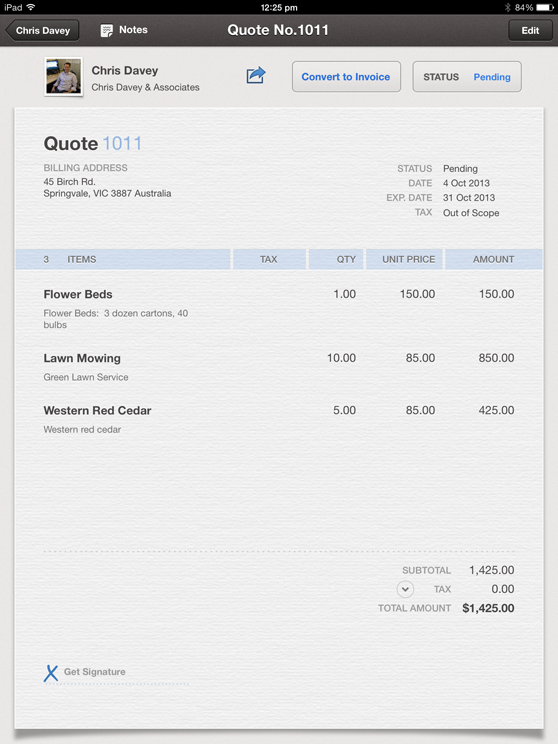 Accept electronic signatures to approve estimates on the spot. 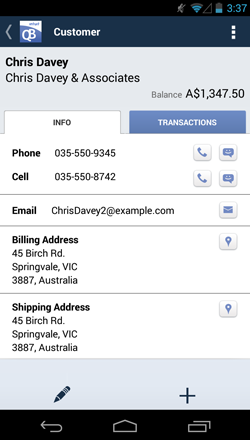 View and edit customer information. 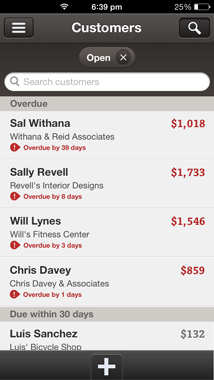 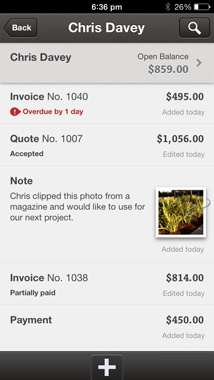 Create and send invoices and estimates on the spot. 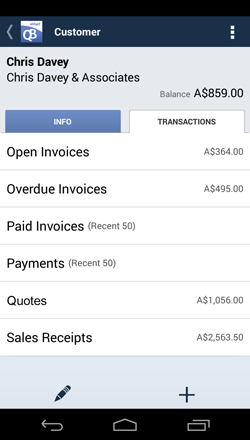 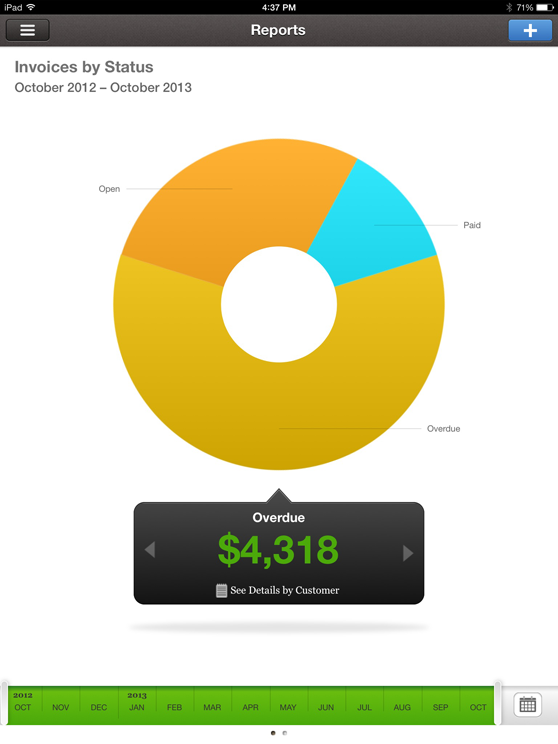 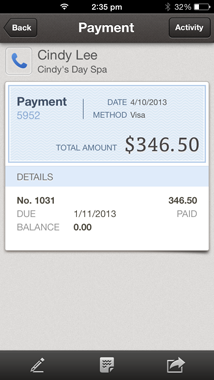 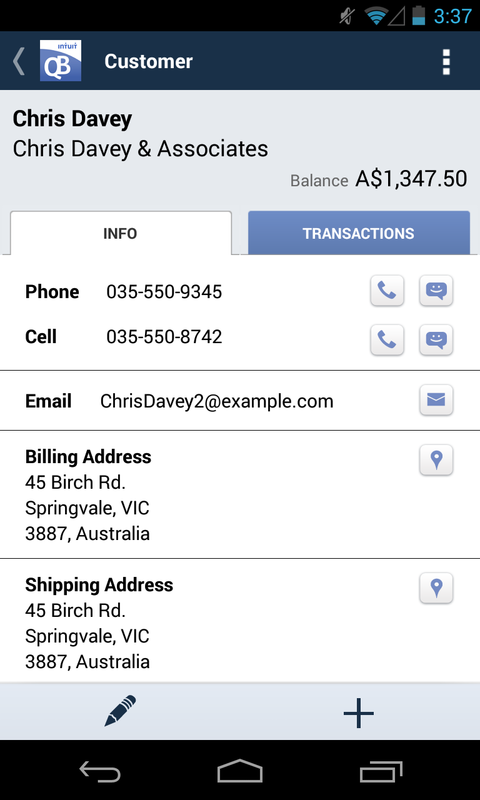 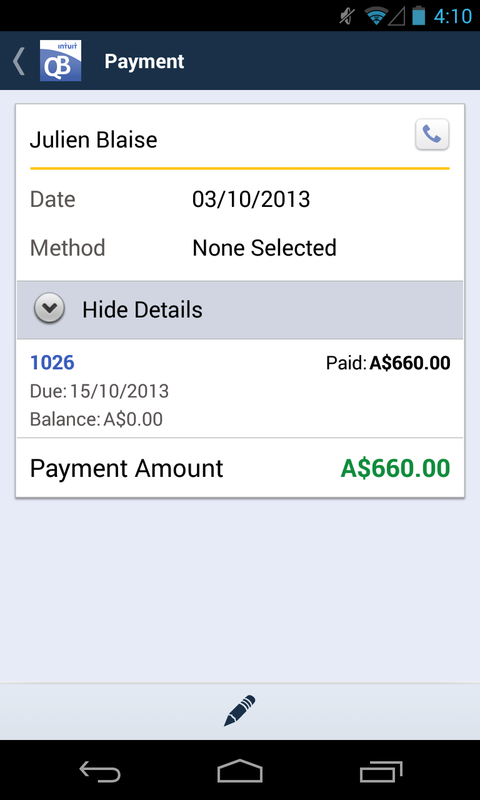 You can also mark invoices as paid and see customer balances.